When her husband accepts a new job in Luxembourg, Kate Moore thinks she is leaving her topsecret life in the CIA behind. It's the perfect opportunity for her family to start again as expatriates in a genteel, European city with a new home, new friends and a new life. 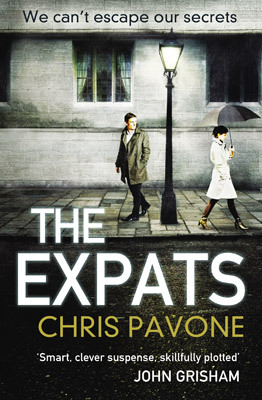 A debut to remember, Chris Pavone's The Expats will keep you enthralled and guessing until the very end. Chris Pavone grew up in Brooklyn, graduated from Cornell, and was an editor at book-publishing houses in New York for fifteen years. In 2008, he moved with his wife and boys to Luxembourg for two years, before they returned to New York.